Alas de Mujer is a project that was founded by Tec students who want to empower women from rural communities by teaching them ways to become entrepreneurs and realize their potential. They are provided with seed capital to start their businesses and are provided technical support and consulting with workshops about business development, money management and other general capacity workshops. 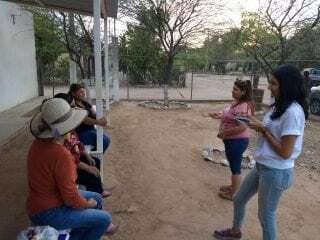 The overall goal of Alas de Mujer is to reactivate the economic activity of the rural community, and to empower not only the women but the community as a whole. The program’s focus is women empowerment through social entrepreneurship. The program is also very well structured within the Social Service department at the university. The university provides staff to guide the student’s work and space to conduct several of the workshops. The students and staff have created a community that deeply cares about its holistic wellbeing. The female entrepreneurs also care for the students who conduct the workshops and engage on a daily basis with them.